Who can forget the scene from Harry Potter and the Sorcerer’s Stone when Professor Snape sensed someone was nearby, reached out his hand to grab them, and narrowly missed Harry Potter under his invisibility cloak? Fans across the world immediately wanted their own such garment with which to cause mischief. project announced that they have made real progress towards it, according to Queen Mary University of London. 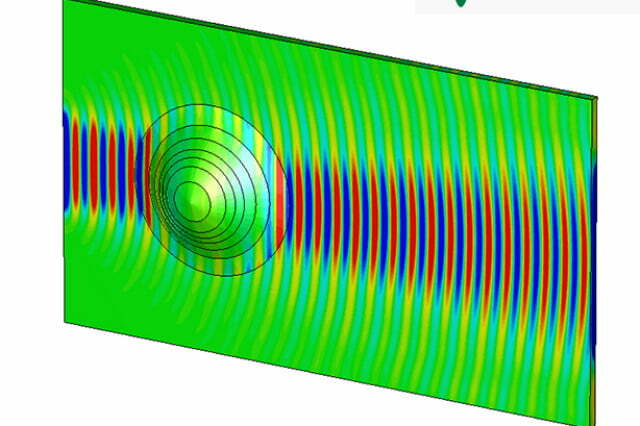 For the first time, researchers from QMUL’s School of Electronic Engineering and Computer Science demonstrated a practical cloaking device “that allows curved surfaces to appear flat to electromagnetic waves,” according to the university. The researchers used a nanocomposite medium to coat a curved surface about the size of a tennis ball. The nanocomposite medium has several layers with varying electric properties, depending on their position. They effectively make the rounded shape appear flat under certain frequencies. In the past, the method was only effective using one frequency, but the recent demonstrations showed it is now capable of cloaking objects in a greater range of frequencies. This technology has numerous uses in other engineering applications, such as nano-antennas and in aerospace tech. In the announcement, project co-author Professor Yang Hao said, “The design is based on transformation optics, a concept behind the idea of the invisibility cloak.” So while fans should not plan to race out and line up for their very own invisibility cloak, this recent development shows significant progress on the project. This is yet another example where fiction inspires real science.